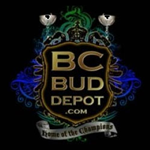 BC Bud Depot - Jack Herer. Free US delivery. Jack Herer has won so many Cannabis Cups we've lost count. It is undoubtedly one of the most special types of marijuana in the cannabis world today. Named in honor of the late Jack Herer, the world famous global hemp activist and author of 'The Emperor Wears No Clothes'. Many years of extensive breeding and special selection gave way to this multiple Haze hybrid that will deliver good yields of medium density buds glistening with juicy, resin-coated Haze bracts that have a fresh and peppery, pungent Haze smell mixed with a hint of fruity skunk.